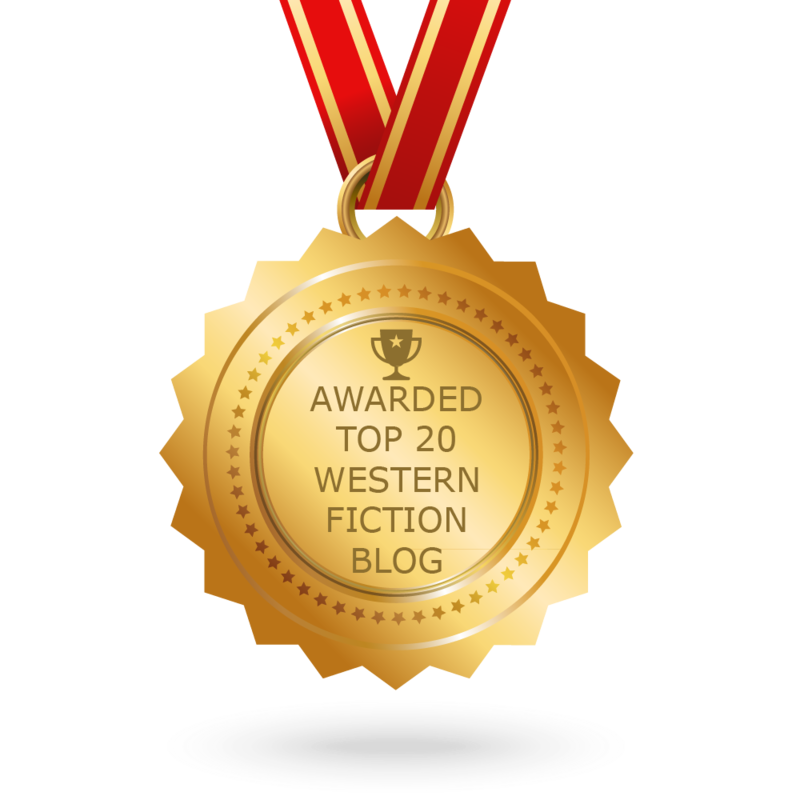 Your characters could have encountered members of a variety of wild cats roaming the Old West. There are three main cats that would have been common back in the era: bobcats, Canada lynx, and mountain lions. 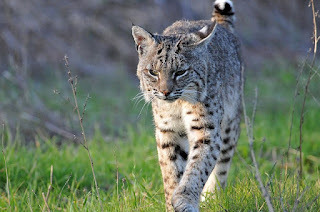 The bobcat (Lynx rufus) is a smallish animal – 11 to 30 pounds and 30 to 48 inches long (including tail). A bobcat is still about twice the size of the average housecat, so it’s big enough to be a threat if cornered. Though they can take down prey larger than themselves, bobcats usually eat smaller prey like mice, rabbits, squirrels, birds or other small game. They have been known to hunt chickens and geese, so your character might have had the hen-yard raided some night. Bobcats have long legs, large paws and tufted ears – similar to their larger cousin the Canada lynx. Their long, strong back legs make their body seem to slope forward like a racecar, giving them a natural advantage for fast sprints and deadly pounces. Most bobcats are brown or brownish-red with a white underbelly and short, black-tipped tail. This tail appears to be “bobbed” or cut short, thus giving the cat its common name. Bobcats are solitary animals. They are also nocturnal and elusive, so they’re less likely to have been encountered by your characters during their daily life. They were common from Canada to Mexico, so they would have been prowling such diverse habitats as forests, swamps, deserts, and even suburban areas. 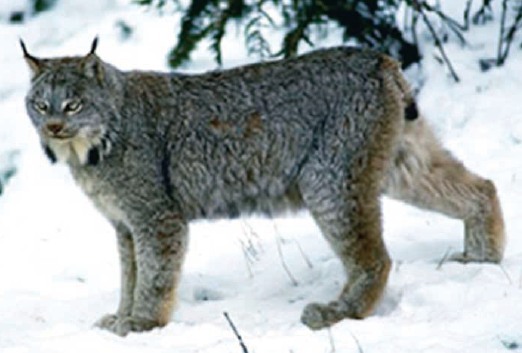 The Canada lynx (Lynx canadensis) is larger than the bobcat, but quite similar in appearance. They average between 22 to 44 pounds and 36 to 48 inches long (including tail). The lynx has silvery-brown, thick fur, long legs (especially the back legs), large paws, tufted ears and black-tipped tails. They eat mice, squirrels and birds, but much prefer the snowshoe hare as prey. Lynx were common in the northern forests of North America. Like the bobcat, they are solitary, nocturnal and elusive, preferring to avoid humans if possible, so your characters might not encounter one unless they were within the lynx’s habitat. The Canada lynx has 28 teeth, similar to other lynx species, with four long canines for puncturing and gripping. These canine teeth are packed with nerves so the lynx can tell exactly where it is gripping its prey and how deeply the teeth are puncturing. Sharp, retractable claws and huge paws (spreading nearly 4 inches in diameter) allow the cat traction in the snow and ice of the mountains where it usually lives. Lynx are good swimmers and efficient climbers, and can roam 5 to 5.6 miles in search of prey. The mountain lion (Puma concolor)is the largest wildcat in North America. It is also known as the puma, panther, cougar or catamount. Mountain lions can weigh between 140 and 200 pounds, and are between 4.9 to 9 feet long (including their long tail). It’s the second heaviest cat in the Americas, after the jaguar. 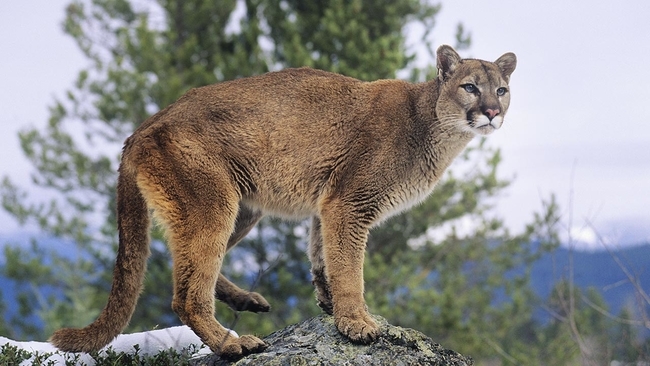 The mountain lion roams nearly every habitat in North America from Canada to the Andes. They are also solitary animals, more active during twilight, though they can be sighted during the day as well. Mountain lions are ambush hunters that pursue a variety of prey, including deer and livestock, though they will also eat smaller animals such as insects, birds and rodents. They have five retractable claws on their front paws and four on their back, with the front feet and claws larger for clutching prey. Mountain lions, though large, are not considered “big cats” because they lack the specialized larynx needed to roar. They do scream, however, although their scream is often misinterpreted to be from some other animal or from a human throat. The mountain lion is typically a tawny color, but the coat can range from silvery-gray to reddish, with lighter patches on the underbelly. Despite anecdotes to the contrary, all black mountain lions have never been documented. Mountain lions have proportionally the largest hind legs of any member of the feline family, allowing them to leap and sprint and climb well. A mountain lion can run between 40 and 50 miles per hour at a sprint, so it can easily run down a sheep or cow. Your characters, especially if they raised livestock, could easily have had to deal with one or all of these wild cats. 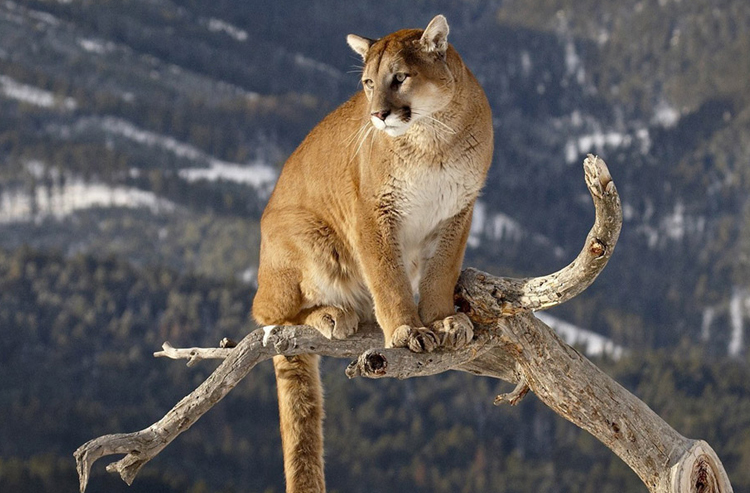 The mountain lion, especially, was a problem to ranchers and livestock owners, as it is big enough to take down cattle.